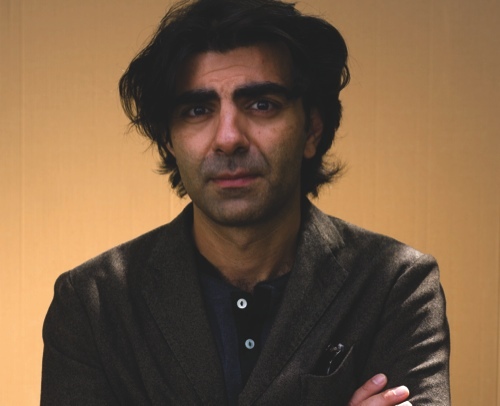 Fatih Akin’s “The Cut” is the first movie by a director with Turkish roots to tackle an issue long taboo in the country: the early 20th-century mass killings of Armenians by Ottoman Turks. The movie caused a stir in Turkey even before its Venice Film Festival premiere, bringing the German-Turkish director criticism and threats. But Akin insists he’s not a pioneer, or a provocateur. He’s simply trying to bring the topic into the open. Historians estimate that as many as 1.5 million Armenians were killed by Ottoman Turks in 1915, an event widely viewed by scholars as the first 20th-century genocide. Turkey denies that the deaths constituted genocide, saying the toll has been inflated, and that people died on both sides as the Ottoman Empire disintegrated during World War I. The killings remain an inflammatory issue for Turkish nationalists. Akin and an Armenian-Turkish newspaper received harassment and threats after he gave an interview recently about the movie. But Akin said Turkey has begun to debate the issue more openly. Earlier this year, then-Prime Minister Recep Tayyip Erdogan said the country was ready to “confront” the ethnic slayings, though he didn’t use the word genocide. “There is a process of analyzing this trauma in Turkey, and I am part of the process,” Akin said. “The Cut” confronts the story through the tale of an Armenian blacksmith — the Biblically named Nazaret, played by “A Prophet” star Tahar Rahim — who is torn from his family amid the killing and spends years searching around the world for his daughters. Criticism of the film in Venice has been more artistic than political. In the screenplay by Akin and Armenian-American scriptwriter Mardik Martin (who co-wrote Martin Scorsese’s “Raging Bull”), the Armenian characters speak in English and the others in their own languages. Some reviewers found that gave the film a stilted air. And some felt Rahim’s performance was hampered by the decision to have Nazaret rendered mute by a knife to the throat early on. Akin was stung by the negative reviews, but said the most important audiences for the film will be Turks and Armenians. Shot on 35-millimeter film stock, rather than digitally, and using widescreen Cinemascope lenses, it takes visual cues from the likes of Sergio Leone and Terrence Malik, offering stunning panoramas as the lonely figure of Nazaret travels from Turkey to Syria, Cuba, Minnesota and North Dakota. “All my films are about migration,” said Akin, who was born in Hamburg in 1973 to Turkish parents. Akin has called “The Cut” the final chapter in a trilogy he’s named “Love, Death and the Devil.” The two earlier instalments, “Head-On” and “The Edge of Heaven,” both dealt with tangled identities and moved between Germany and Turkey. The director said all three films explored his relationship with his ancestral land. Now he’s ready for a change.